The Rocky Mountain Arsenal National Wildlife Refuge covers 15,000 acres of high prairie near the Denver International Airport that formerly housed chemical weapons and pesticide plants. Today, the refuge is home to some 330 species of animals, including wild bison, deer, coyotes, bald eagles and burrowing owls. Its native prairie is like that occupied by Native Americans 7,800 years ago, plus woodlots, lakes and wetlands created by the white settlers who homesteaded the area starting in the 1870s and exotic grasslands planted by the U.S. Army during World War II. The refuge provides environmental education and interpretive programs, catch-and-release fishing, nearly nine miles of trails, wildlife viewing opportunities and site tours for the public. There is a visitor center open Tuesday through Sunday; the refuge and visitor center are closed on Mondays. A 9-mile self-guided wildlife drive is available. Refuge officials are restoring nearly 8,000 acres of former crop fields on the north half of the property to prairie grassland. They are reintroducing buffalo grass, blue grama and other grass species, wildflowers and shrubs that are native to Colorado’s high plains. Some of the lakes, wetlands and woodlands introduced by settlers on the southern half of the property will be kept, however, because they provide a habitat for bald eagles and songbirds. The refuge was created by Congress in 1992 after an extensive cleanup effort on the property, which had been used for the production of chemical weapons starting in 1942 and for pesticide manufacturing after the World War II. 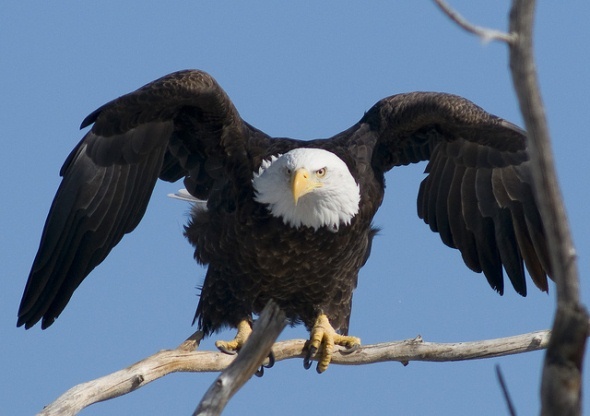 The cleanup was done through a partnership of the U.S. Army, which had operated the chemical weapons facility; the Shell Oil Co., which had run the pesticide plants; and the federal Fish and Wildlife Service, which got involved after bald eagles were discovered on the property.